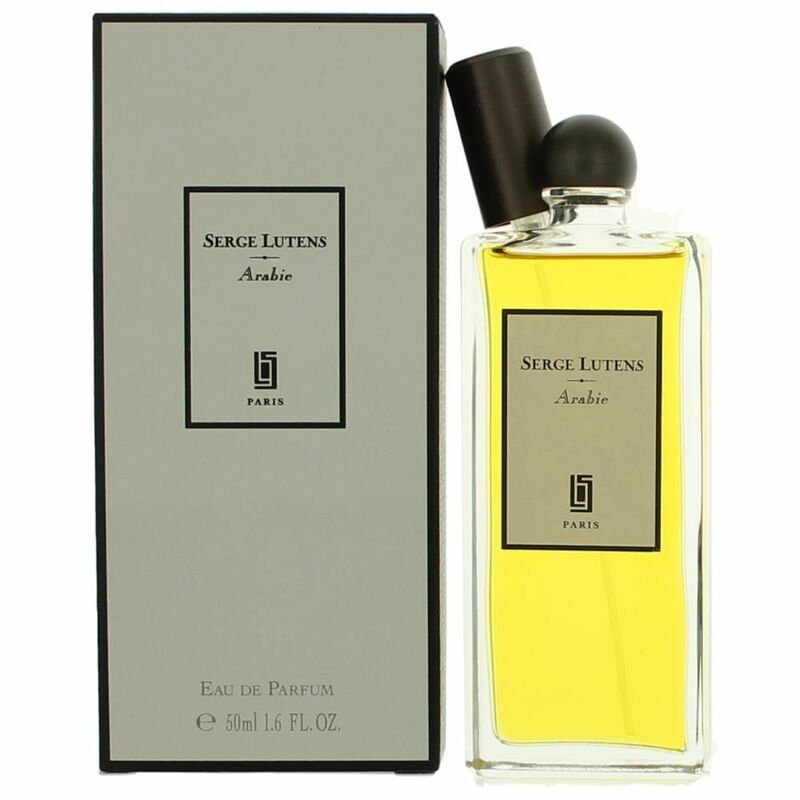 Many of the Serge Lutens fragrances were inspired by journeys around Middle East. Arabie was inspired by eastern spice shops; it is an exquisitely warm spicy fragrance, dense and sweet from aromatic resins, temperamental, sunny, yet mysterious like East itself. Precious notes of cedar and sandal blend in with sweet notes of candied mandarin, dried fig and date. Nutmeg, cumin and clove at the heart pervade the composition with hot spicy notes. Aromatic bay-leaf, harsh and pleasant, joins the spices, dwelling in dense resin waves of Tonka, Siamese benzoina and myrrh. The final accord of labdanum joins aromatic opulence into a harmonic wholeness. Arabie was launched in 2000.